The Reuters news agency noted the words of a man queuing to vote in Irbil. The Christmas holidays of 2006 were spent taking advantage of this new Kurdistan, one free of Saddam. (Never mind the fact that Iraq was unraveling and untethered from any concept of a unified state at that point.) Travelling with his Greek-speaking son, Hitchens noted the ease of air and road travel, and that “walking anywhere at night in any Kurdish town is safer than it is in many American cities.” Erbil was visited, “where Alexander the Great defeated the Persians”. With some cheer, it had been a year since the last suicide bomb attack. “There is a distraction from the fight against ISIS”. Irritatingly for Dillon, the Peshmerga forces had been biding their time in the latest offensive against Hawija, where an estimated 800 to 1,500 ISIS fighters remain. 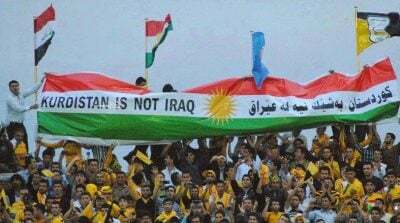 Featured image is from Kurdistan 24.